Anne Kelly’s cloth collages are works of art in fabric form. She uses layer upon layer of fabric to create scenes of romantic cities, or uses special fabric to celebrate an anniversary, or a collage of fabric made from textiles collected on many travels. Anne Kelly grew up in Canada but now resides 56km south-east of London in Kent. She lives in a 125-year-old Victorian townhouse with a shed serving as a studio in the back garden. This friendly neighbourhood, which is still near to large towns and amenities, enables Anne to enjoy walks and holidays in the countryside, which inspires her work. Anne then completed a Fine Arts degree in Canada and took on further training at Goldsmiths College in London. “After my degree in Canada I gained two consecutive Elizabeth Greenshields Foundation awards to travel and work in the UK. I have taught and worked in the arts for more than 30 years and came back to textiles through my teaching. I started exhibiting locally and encouraged by feedback, sales and commissions, began to vary the size and complexity of my work. As the work grew in scale, the techniques I used to make it adapted accordingly,” explains Anne. Throughout her career, Anne has worked closely with several artists, writers and makers, producing exhibitions, small books and articles. The best-documented collaboration was with Cas Holmes and their book Connected Cloth. This book charted the processes they used for a very successful collaborative process, culminating in a joint exhibition at the Prague Patchwork Meeting. 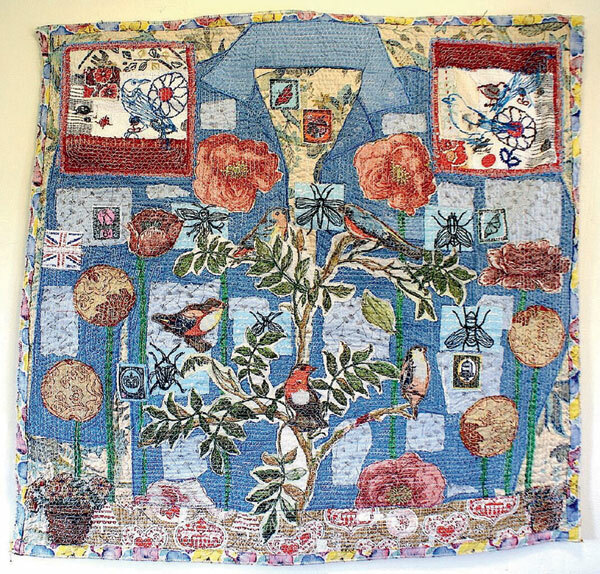 Vintage domestic textiles, such as cotton, linen, lace plus patchwork and embroidery are all present in Anne’s work. She uses old handkerchiefs, table napkins, tablecloths and tray cloths as base materials for her work. “I use scraps of ethnic embroidery from a variety of countries as extra embellishment in my work, if appropriate. I like to use translucent panels of lace and organza to layer into the pieces. They act as ‘filters’ for the viewer and help to push back or emphasise aspects of the composition. I particularly love old printed fabric as it is soft, easy to print on and very durable,” details Anne. In terms of tools, Anne loves her Bernina sewing machine as it enables her to stitch through several layers of fabric and make an almost tapestry-like new textile. She favours the older machines, which were made in Switzerland and have a metal body, as they are heavy duty and enable her to layer more. Her free-motion foot and sketchbooks allow her to draw with stitches, which is essential to her work. 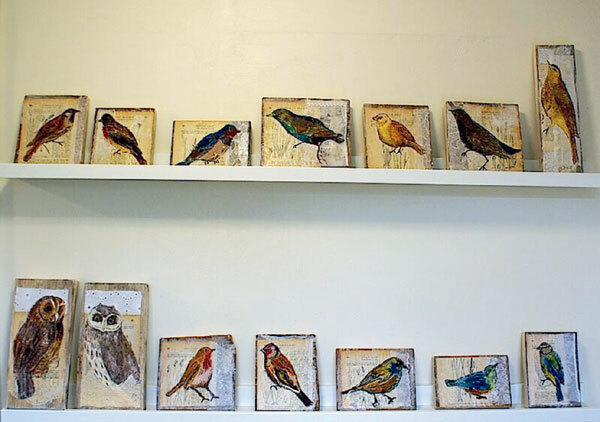 Anne also loves block and screen-printing and uses a variety of wooden blocks donated and purchased from exhibitions and travels. 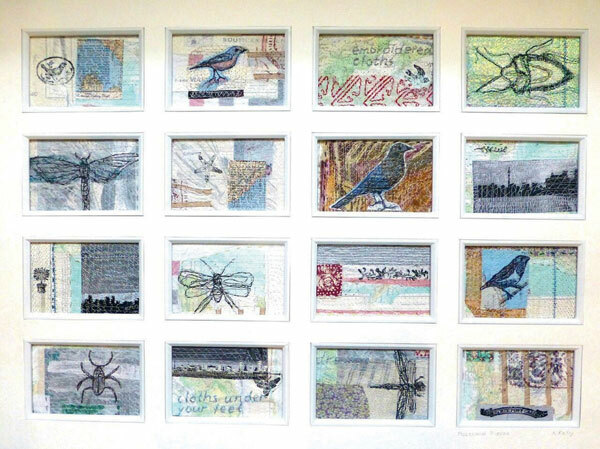 Anne’s work has developed from predominantly mixed media on paper and board to mixed media textile. She utilises the skills from her Fine Arts training with new processes, which has been a gradual and enjoyable journey. “When I started making my first layered textile pieces more than 15 years ago, I felt that I finally discovered the technique that suited me best. Artists need to be adaptable and as the scale of my work has changed, the techniques I use to create it have been modified to fit these larger and more complex pieces,” Anne says. She draws inspiration from the world around her. In Canada she was fortunate to have an abundance of beautiful landscapes wherever she looked. “It is the details that interest me and I now have a modest town garden in Kent which favours some beautiful flowering shrubs and trees; they are my inspiration for shapes, patterns and subject matter. Much of my recent book, Textile Nature, describes how I use what is around me as starting points,” she explains. 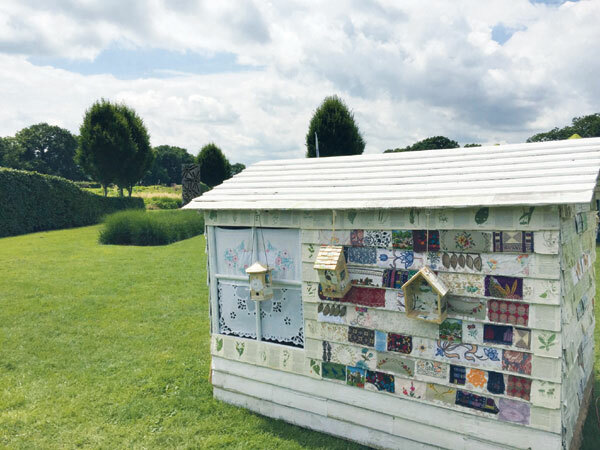 Anne has converted a large shed-like outbuilding in her garden into her studio. It is solid and has a work bench running through it. She uses it all year and loves being in it. Her much-loved thread collection is stored in Chinese-painted boxes given to her by her daughter-in-law and Bernina sewing machine takes pride of place. Anne opens the studio as a gallery each June for South East Open Studios and it has been a wonderful venue to welcome visitors from near and far. 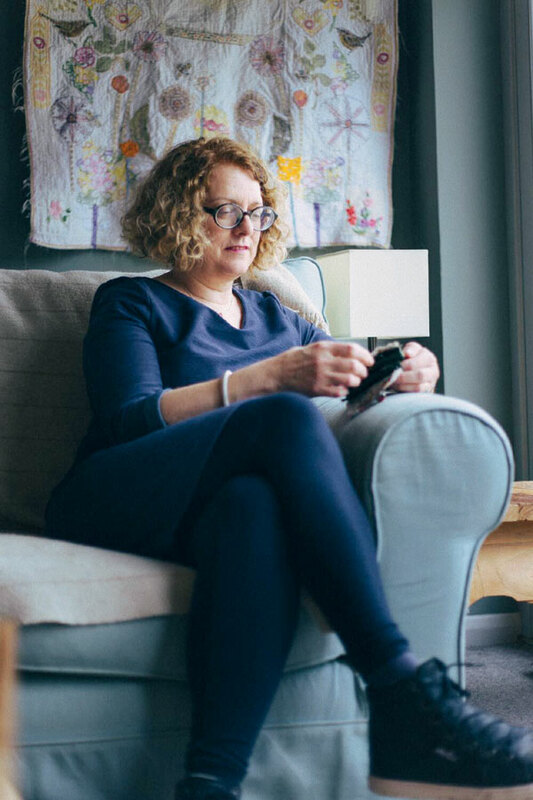 Anne’s diary for 2018 is filling up fast and she will be holding classes and talks at many venues in the UK and Europe, along with organising work for two international exhibitions in 2019. She is enjoying the travel and meeting and working with students around the world.